Connect Bridgeport News: White Oaks Development Sees Another Permit for New Retail Business Filed and "More is on the Way"
White Oaks Development Sees Another Permit for New Retail Business Filed and "More is on the Way"
Another week, another new business is on its way to White Oaks. This time, it’s on the service end of the retail gamut. According to Bridgeport Community Development Director, earlier this month a building permit was pulled for Elegant Nails to locate at the Retail Plaza II building at White Oaks. The building permits shows the new building will cover 1,320 square feet. Stanley said the new business will be located next to the Starbucks that is currently seeing buildout work being done. The building faces Jerry Dove Drive. Kerr said the interior buildout is for $60,200. Elite Custom Builders, which has done a number of jobs and are currently doing other jobs at White Oaks, is the contractor. Stanley said the business should be open sooner rather than later. He anticipates a 45-day buildout. Some of the growth may come sooner rather than later, according to Stanley. Stanley said that the addition of the nail salon in the building leaves essentially two bays available. “We believe we have those leased as well,” said Stanley. "More is on the way." Although he would not release the information on the names of those businesses pending the signing of a lease, he did say they one was a professional service and the other could be a food service business. “We feel confident there will be more announcements in the weeks and months ahead,” said Stanley. 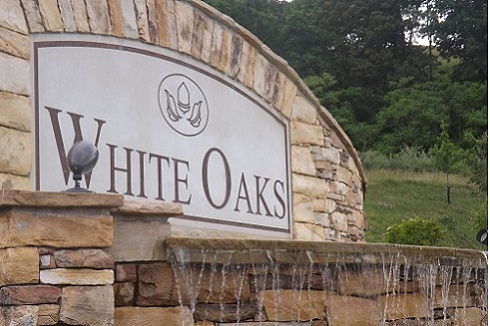 Also this month, a $13.9 million building permit was filed at the city for White Oaks. The Crossings at Bridgeport Assisted Living Facility will be one of the biggest additions to the park and earth work has already begun. 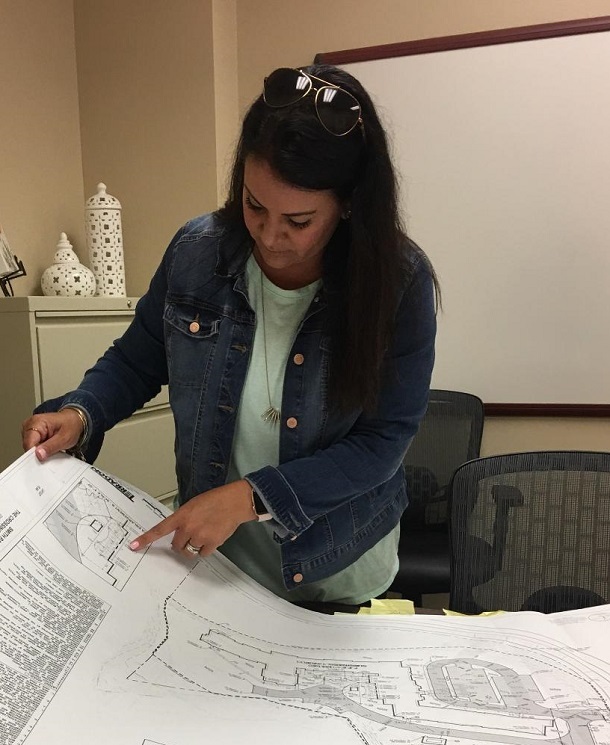 Editor's Note: Top photo shows Andrea Kerr looking over plans for work being done at White Oaks, while the entrance to the development is shown below.